Regardless of whether you are a large corporation, small non-profit, civic, academic, or government entity, you cannot surpass your goals without a clear plan for your future! Allow X-Factor Solutions to guide you through the strategic planning process by translating your strategic goals into concrete action. 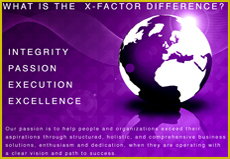 What is your X-Factor for successful Strategic Business Planning? Regardless of the size and focus of your team, there are some very consistent factors that may impact the relative success of your organization. Allow X-Factor Solutions to develop a customized program to address the particular needs of your team. There is both science and art to building and optimizing team productivity. What is your X-Factor for highly efficient and productive teams? X-Factor Solutions offers a series of workshops designed to provide training in numerous professional and personal skill areas. These customizable workshops provide a special opportunity for employees, leaders, family members, etc. to build new skills, brush up on skills that may have become outdated over time, and practice applying the skills in a safe, comfortable environment. Do you know which way to turn for professional skills development? Allow X-Factor Solutions to help you learn how to resolve conflict before it builds momentum and spirals out of control. X-Factor Solutions will help you practice the skills required for healthy conflict resolution. X-Factor Solutions is in your corner to help you manage conflict!!! First and foremost, great leaders are introspective and reflective. Before they can effectively lead others, they must understand themselves: their values and beliefs, unique styles and behaviors, capabilities and areas for improvement, as well as their personal goals and aspirations. What is your X-Factor for developing strong, successful leaders? 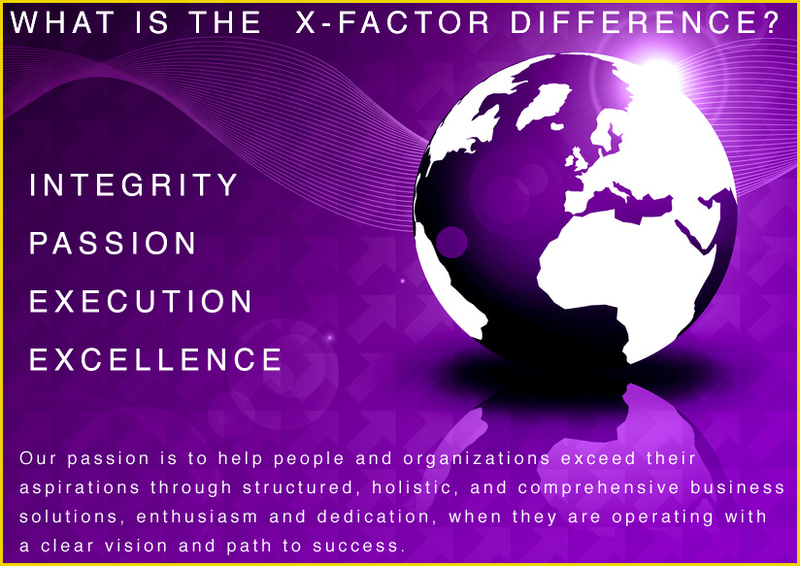 X-Factor Solutions brings a wealth of knowledge, experience and critical skills, making us uniquely qualified to deliver the highest quality strategy, education, structured training, and consultative facilitation services to your company.